In the 15 years since they formed in Sacramento, Deftones have upped their game with each album. Other less-complex bands they were lumped in with have sold more records, draw bigger concert crowds, and are more visible (we’re looking at you, Korn and Limp Bizkit), but Deftones expanded their sonic palette over the years to include everything from primal rage-fueled rockers to quieter, more introspective moments. None of those other bands can claim that. And most of those groups have either receded far in the background or become ghosts of their former chart-topping lives in the past decade. While those bands spent more and more time mating rapping and scratching to occasionally scorching guitar riffs, Deftones went down different paths. 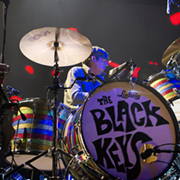 Their second album, 1997’s Around the Fur, hinted at the direction they were headed toward. By 2000’s White Pony, they were being hailed as one of the most important bands of the new decade. 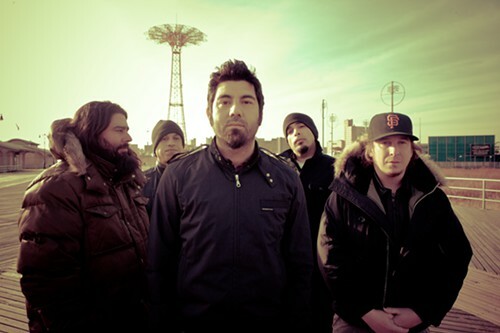 A self-titled album from 2003 and 2006’s Saturday Night Wrist cemented Deftones’ reputation as one of metal’s most experimental combos. "The interesting thing is, at the core, this is a band that does what it wants to do, regardless of what others think,” says bassist Sergio Vega, who joined the band after original member Chi Cheng was left with a brain injury following a 2008 car accident. He’s still recovering. Diamond Eyes is one of Deftones’ most focused albums. The heavier songs recall Around the Fur’s best moments, but there’s also the melodic edge the band has brought to each if its albums since White Pony. 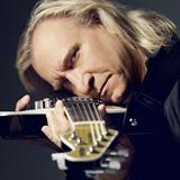 Guitarist Stephen Carpenter’s riffs on the title track and “You’ve Seen the Butcher” are beyond crushing. Turntablist and synth player Frank Delgado finds ways to manipulate sounds for lulling effects throughout the record. And Chino Moreno states his case as one of his generation’s best hard-rock singers. DEFTONES, WITH THIS WILL DESTROY YOU. 8:30 p.m. at House of Blues. Tickets: $33-$46.